Why is Bulgaria an Attractive Country for Investors? 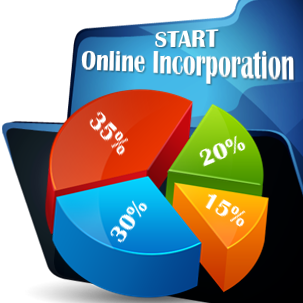 Company formation in Bulgaria consists of several actions that are mandatory before starting a business in this country. Firstly, one needs to decide about the form of business. According to the Bulgarian Foreign Investments Agency, an OOD - the Bulgarian limited liability company - is one of the most popular choices for small and medium businesses. There is also the option of incorporating a Bulgarian AD - the joint stock company, suitable for large companies. An entrepreneur who comes from a different country, such as Croatia, United States of America or a business investor from Hungary can also set up a sole proprietorship, a partnership, a representative office, a branch or a subsidiary in Bulgaria, helped by our specialists in company formation. The Bulgarian company foundation documents must be executed in front of a notary, the minimum share capital will be deposited in a bank account, the notarized documents are to be registered with the Commercial Register at the Registry Agency and not least, the entity must register for VAT. You may need a lawyer's advice for doing business in Bulgaria, such as in other countries like France. What is an LLC in Bulgaria? The Bulgarian OOD (limited liability company) is a form of business especially established by the small and medium companies and it is formed by members with the liability limited to their contribution to the company’s capital. It is considered very advantageous to open a Bulgarian OOD because, unlike other jurisdictions, there is no need to submit a minimal share capital at incorporation. The main documents of a Bulgarian limited liability company necessary for registration are the articles of incorporation and the memorandum of association (the last one in case only one shareholder is involved). 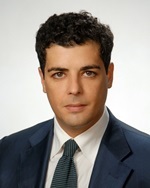 The company of this type is managed by a director appointed by the general meeting of the shareholders (considered the highest instance in the entity). The name of the company must be unique and followed by the termination OOD. How can you incorporate a joint stock company in Bulgaria? A joint stock company in Bulgaria (AD) is a type of company designed for major businesses and must be incorporated by at least two individuals or corporate bodies. The name of the company must be unique and followed by the termination AD. Unlike the limited liability company, this entity must provide a minimum share capital of EUR 25,000 (for a closed joint stock company) or EUR 50,000 (for an open joint stock company) divided into shares with nominal value of EUR 50. At the base of each joint stock company, sits the by-laws of the company, containing the name and the registered address of the company, its purposes, details regarding the capital stock and shares, the name of the advantaged members and type of advantages, the modality of appointing the board of directors and the supervisory board, transforming or liquidating the entity. The main difference between the closed Bulgarian AD and the open Bulgarian AD is that only the shares of the last one can be traded at the stock market. A single entrepreneur can register a Bulgarian sole proprietorship. The entrepreneur is fully liable for the company’s debts and can benefit from the full profits of it. There is no minimum share capital required for this type of business incorporated in Bulgaria and, in case of liquidation, the owner doesn’t have separated liability from his/her business and his personal assets may be affected by this process. The Bulgarian general partnership is formed by two or more members with unlimited liabilities, united under the same name and with the same economic purposes. Just like in the case of the Bulgarian sole proprietorship, the personal assets of the members can be affected by the liquidation processes. A general partnership is based on the partnership’s articles which must state the name and address of each partner, the name of the partnership (formed by the names of the partners followed by the termination SD), the amount contributed by each partner and the modality the losses and profits will be divided between them. Similar with the general partnership is the Bulgarian limited partnership which is formed by two or more partners who can be general (this type of partner is fully liable for the entity’s liabilities and has full decisional powers and doesn’t need to contribute with a fixed amount to the capital) and the silent partner (which has a liability limited to his contribution to the capital, doesn’t have a decisional power and, in case of liquidation, has his personal assets protected). This type of Bulgarian partnership is also based on the partnership’s articles. The name of this type of limited partnership must contain at least one general member’s name followed by the termination KD. How can I register a branch in Bulgaria? • the certificate of good standing with information about the future operations in Bulgaria. When establishing a branch in Bulgaria, we suggest you talk to our team of company incorporation agents in Bulgaria for assistance in the registration procedure. Can I open a subsidiary in Bulgaria? Foreign entrepreneurs can establish subsidiaries in Bulgaria, a separate legal entity with its own capital. These can be set up through joint stock companies or through limited liability companies in Bulgaria. The minimum share capital for an LLC in Bulgaria is EUR 1, and EUR 25,000 for joint stock companies. Businessmen from abroad can perform the activities as sole traders and firstly they must register with the Trade Register and the local offices. Bulgaria offers several free trade zones with special tax regimes for both locals and foreign investors. The following table can offer details about the available business structures and the characteristics. Preliminary procedure before registration. At the beginning of company incorporation in Bulgaria, the entity’s representative must execute the minutes of the constituent meeting of the shareholders or the general meeting of the general partners. After that, it is mandatory to obtain a notary certified statement of consent, the signature specimen of the manager and a certified copy of the articles of incorporation or the partnership agreement. A certificate from a bank stating that at least 70% of the minimum required capital has been paid must be obtained before starting the actual entity registration. The certified statement of consent and signature specimen of the manager must be notarized. The actual registration process of a company in Bulgaria consists in depositing the notarized foundation deeds, minutes of the meeting of incorporation and the bank certificate stating the share capital to the Trade Register. The procedure takes around four working days. After that, the following step of the company incorporation in Bulgaria consists in filling an application to the National Revenue Agency accompanied by the foundation deed, the bank account document or a document attesting the contributions value, an excerpt from the Commercial Register in order to get the VAT number. This process doesn’t take longer than 12 working days. The whole process of a Bulgarian company incorporation performed by a law firm in Bulgaria takes around two working weeks. After the registration, you should hire an accountant and we can recommend a professional because we are in contact with many specialists in accounting in European countries. Choose, verify and reserve the business name for your OOD in Bulgaria. Appoint the representative agent for your company in Bulgaria. Deposit the minimum share capital of 2 BGN in a local bank account. Prepare and submit the Articles of Association for your company in Bulgaria. Verify and apply for business licenses for your enterprise in Bulgaria. Register for tax purposes and apply for Bulstat number for an LLC in Bulgaria. Registration fee: approximately EUR 983 for company registration forms, business name, company documents, certificate of incorporation, etc. Virtual office costs: around 25 per month, but complete information can be obtained from our team. Minimum share capital: 1 EUR for opening an OOD in Bulgaria. Company formation fee: approx. EUR 800, but for complete details talk to our company formation agents in Bulgaria. 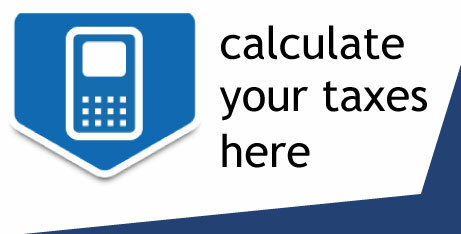 Accounting costs: from EUR 30 per month for varied accounting services. How can I open a bank account in Bulgaria? The requirements for opening a bank account in Bulgaria differ from an institution to another, but in most cases, it respects the main requirements and conditions. In this sense, the Articles of Association, the company’s main documents, the certificate of company registration, and the specimen signatures are necessary at the time of opening a bank account. One must also observe the bank applications and forms for opening an account which will be connected to the financial activities of your firm. Shelf companies in Bulgaria are directed to those type of entrepreneurs who want to avoid the formalities of opening a company from scratch and instead they are interested in purchasing a ready-made company. As the name says, shelf companies are already registered companies that are kept on a shelf until they age, but always available and at the disposal of local and foreign investors who want to start a business. Because it is already incorporated, a ready-made company has a business office, a VAT number, the Articles of Association, plus the certificate of incorporation. Acquiring a shelf company in Bulgaria is subject to the transfer of the ownership which can be done in just one day and the requirements of the public notary where the procedure is done. The operations of a ready-made company in Bulgaria starts at the time the company has a board of managers. We invite you to address to our team of consultants for support in purchasing a shelf company in Bulgaria. Can I benefit from virtual office services in Bulgaria? Yes, virtual office packages are at the disposal of foreigners interested in opening a business in Bulgaria without having to decide on a traditional office. A notable business address in Sofia or in any important city in Bulgaria comes with a virtual office package. Among the virtual office services, we mention that the mail is collected and forwarded in accordance with the instructions of the owner. The same is available for phone and fax services linked to your business in Bulgaria. We also mention that a local phone number is assigned to your business, plus extra usage of the meeting room for discussions with future partners or collaborators in Bulgaria. On request, you can solicit us collecting the bank statements and send them to you. Please talk to us if you are interested in virtual office services in Bulgaria. Situated in the center of the Balkan Peninsula, on the road between Europe and Asia, Bulgaria has a lot of advantages to offer to the foreign and local investors. The main developed sector is the service sector represented by tourism, Bulgaria being an attractive holiday destination due to its advantageous prices and beautiful landscapes. The population is highly educated, English speaker, this leading to a reputable workforce. The major advantages granted by the Bulgarian government are the taxation system, one of the lowest from EU, with a profit tax of only 10% and the small withholding taxes on dividends paid to non–residents of 5% and withholding taxes on interests paid to non-residents up to 10%. All the above can be minimized or even exempt by the vast network of double taxation treaties signed by Bulgaria so far. The local and foreign investors who want to set up a company in Bulgaria may contact our representatives in company formation. Thank you for the good writeup. However, how could we keep up a correspondence? Peculiаr article, just whаt I needed. Having read this I thought it was extremely enlightening. I appreciate you spending some time and effort to put this short article together. I once again find myself spending way too much time both reading and leaving comments. But so what, it was still worthwhile! Very helpful and useful information regarding company formation in Bulgaria. Thanks for sharing such an useful information. I have read so many articles and I can say this is truly a nice article, keep it up. Hello there and thank you for your information – I have certainly picked up anything new from right here. Well I am adding this RSS to my e-mail and could look out for a lot more of your respective interesting content. Ensure that you update this again soon. It's like you read my mind! You seem to know so much about this. This is excellent blog. A fantastic read. I'll certainly be back. Valuable info. Fortunate me I found your website accidentally, and I'm surprised why this coincidence did not happened earlier! I bookmarked it. Hi there, You've done an incredible job. I'll certainly digg it and personally recommend to my friends. I'm confident they will be benefited from this site. Hi there friends, its great article, fully explained, keep it up all the time. I truly love your website. Very nice colors & theme. Did you develop this amazing site yourself? Please reply back as I'm wanting to create my own personal website and would love to find out where you got this from or exactly what the theme is named. Thanks! Very nice and informative for new businessmen. This article is in fact a pleasant one, it assists new net viewers, who are wishing in favor of blogging. Call us now at +359 888 350 643 to set up an appointment with our specialists in company formation in Sofia, Bulgaria. Alternatively you can incorporate your company without traveling to Bulgaria. As our client, you will benefit from the joint expertize of local lawyers and international consultants. Together we will be able to offer you the specialized help you require for your business start-up in Bulgaria. BridgeWest takes great care of selecting its affiliates worldwide and Bulgaria is no exception. Copyright © 2011 - 2019 Company Formation Bulgaria. All rights reserved.